As the weeks count down to the first matches of the inaugural Canadian Premier League, the excitement continues to build. As does the hard work by all involved. There still feels a lot left to sort out and announce, and such little time to do it. There’s the schedule (expected within the next week to 10 days), details of the broadcast and any travel deals to be announced, and the not so small task facing all seven teams of building competitive rosters. With squads expected to be made up of up to 23 players, those rosters are looking somewhat sparse right now. At the time of writing this, and not counting the guys taken from the U Sports draft and just actual signings, Valour FC are leading the way with eight players, York 9 and Cavalry FC have seven apiece, FC Edmonton and HFX Wanderers have six each, Pacific FC have five after their three new additions on Tuesday, and Forge FC are bringing up the rear with four. So expect a lot of signing announcements over the next six weeks as teams ready themselves for preseason training camps. A lot of those deals will obviously already be signed and dripped out to continue to build up the interest and excitement, but there’s still a lot of scouting going on as teams look to get some of the best local talent available onto their books. Pacific FC coaches Michael Silberbauer and James Merriman took in the VMSL Premier game between Rino’s Tigers and CCB LFC United in Vancouver on Saturday, and it won’t be too much of a surprise to see a number of the players that were on the pitch in that match invited to the team’s training camp, at the very least. Pacific FC have talked about signing local players, and they’ve been true to their word so far with a squad being built around BC talent. We’re going to look at some Pacific Prospects from the local lower mainland leagues in another article, but let’s kick this feature off with a look at four players who were either born and/or currently live on Vancouver Island and who are certainly worth a look by the new CPL club, along with a couple of other notable mentions. 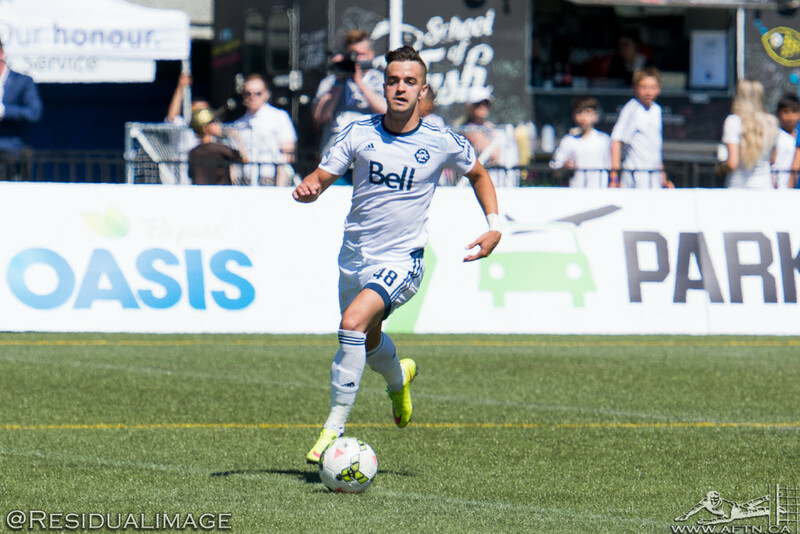 As we mentioned on Sunday’s AFTN Soccer Show, from what we’re hearing, former WFC2 winger Victor Blasco looks set to be offered a deal by Pacific FC. The Spaniard has called Vancouver Island his home since 2014 when he headed to Nanaimo to study at Vancouver Island University. A product of the FC Barcelona Academy, Blasco was scouted by Alan Koch for SFU but initially headed to VIU to work on his grades and English. 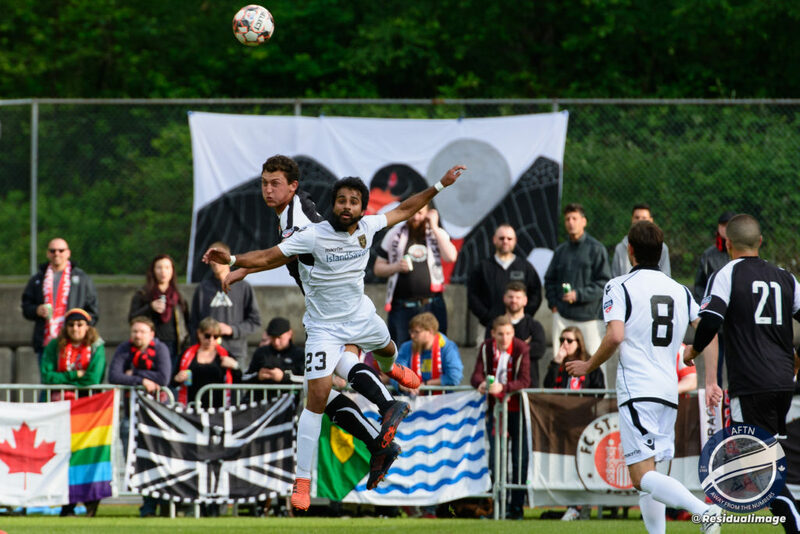 He was named both the PACWEST Rookie and Player of the Year in 2014 after scoring 12 goals in his 13 appearances and when Koch was named WFC2 head coach in January the following year, he quickly brought Blasco over to join the team. Blasco made 24 USL appearances, scoring four goals and notching six assists for WFC2 in just over a season with the team before being let go for “breaching the club’s personal conduct policy”. After that he headed back to VIU for the 2016 college season, but missed out on the Mariners CCAA Championship win in 2017 due to injury. He’s been playing his soccer locally this season for CCB LFC United in the VMSL Premier Division where he has 10 goals and a slew of assists and electrifying performances. Still only 24, he definitely deserves another chance in the pro game if he wants it. He’s a mercurial talent who has the potential to light up the CPL when he’s on his game. Another name to throw out there is UVIC Vikes alumni, and their current assistant coach, Cam Hundal. I’ve always been a fan of Hundal’s going back to his days with Vancouver Whitecaps U23s in the PDL. In his five years in the college game, Hundal was named the CIS 2011 Championship MVP and 2015 CIS Player of the Year. 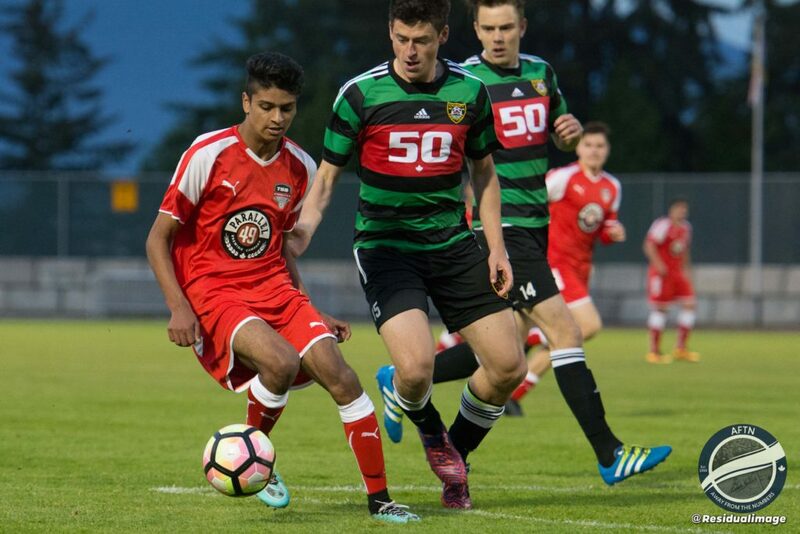 A BC Provincial Cup, VMSL Premier, and Challenge Trophy national championship winner with BCT Rovers Tigers last year, Hundal still impresses, and has three goals in the VMSL for the team so far this season. He was named the Vikes’ Assistant Coach in January 2018, so whether he would want to give that up to go pro or be able to juggle it with a part time playing schedule, I’m not sure, but he’s still a real talent and I’d love to see him give it a try. He did play with the Highlanders during the last PDL season, making nine appearances, scoring one goal and adding one assist, so it could be doable. Blasco’s VIU and CCB teammate, and roommate, McCurdy is no stranger to football in Victoria, having previously played in the PDL with the Highlanders. Originally from Belfast in Northern Ireland, McCurdy is a dual citizen and moved to Victoria from Ontario in 2016. He has a wealth of experience under his belt, coming through the Linfield FC academy in Northern Ireland, where the won a U18 League and Cup double. After moving to Canada he’s played college football for Algonquin College and Vancouver Island University in Nanaimo, where he won a 2017 CCAA National Championship and is currently in his fourth year in the college game. Away from college, he’s played with Kingston FC in the CSL, Kingston Clippers in League 1 Ontario, Vic West in the VISL, and he’s currently with CCB LFC United in the VMSL, where he’s really stood out in the matches I’ve seen him in this season. The centre back captained the Highlanders in 2017 and was an ever present in all 14 matches. He’s a great organizer on the backline, commanding in the air, and has really impressed me with his play in both the PDL previously and in the VMSL this current season. 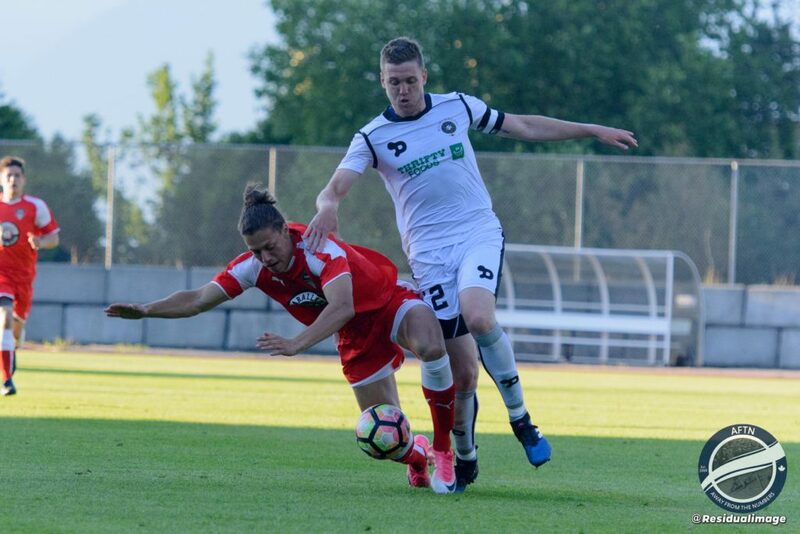 Another former WFC2 player, Wirth will be keen to have another shot in the pro game after spells in the USL with Vancouver Whitecaps and Phoenix Rising. The 23-year-old already has a lot of experience under his belt, which includes involvement with the Canadian national team at U18 and U20 levels and three years in the NCAA with Oregon State Beavers before returning to Vancouver to sign his first pro deal with WFC2 in 2016. The Comox native joined the Whitecaps Residency program in September 2011 and spent three seasons with the academy before heading to OSU, along with playing PDL for the ‘Caps in 2012. He never made a start for the ‘Caps or Phoenix in USL play, but did spend the 2018 PDL season with Victoria Highlanders, making nine appearances and keeping three clean sheets. He’s currently playing for Vic West in the VISL, and is a current member of their All-Star squad. Wirth was the starting goalkeeper for Canada at the CONCACAF U20 Championship in Jamaica and spent three years working with Rob Gale, so if Pacific don’t want to take a look at him for a possible back up keeper role, then there’s a chance Valour FC might. Obviously this is far from being an extensive list. Just five players that have certainly caught my eye over the recent years that have Vancouver Island connections. You also have the likes of senior pros like Victoria’s Simon Thomas and Adam Straith, who could be tempted back to their hometown in time. We also initially had former University of New Brunswick Reds standout defender Kalen Park on our list (pictured below). The left back was one of 11 “watchlisted” players to come out of the Victoria open trials. He came through Thomas Niendorf’s Victoria based Pacific Elite Soccer Institute and spent some of his youth career over in Germany with Energie Cottbus. He’d spent the 2018/19 season playing with Langford based VISL side Westcastle United, where he’d scored five goals, but he’s just moved to Melbourne in Australia and we’re not sure a CPL deal would be enough to tempt him back right now. He’s heading to the wrong Victoria! 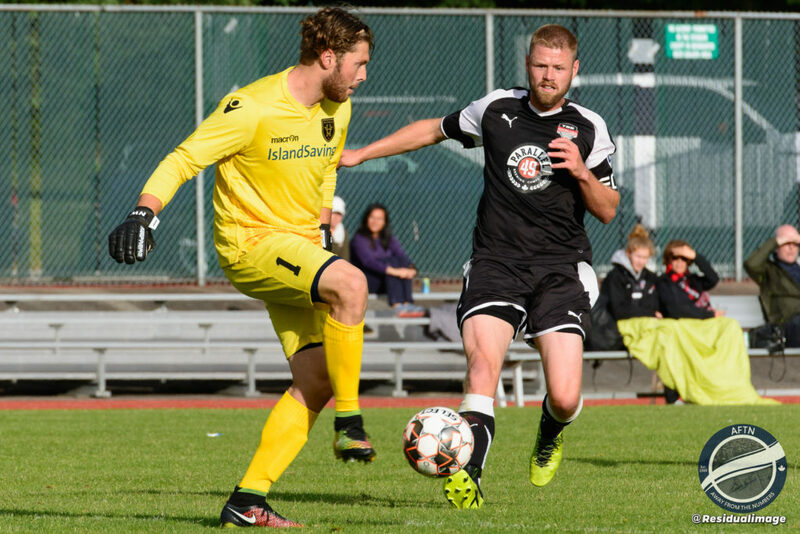 There’s also a slew of talent currently plying their trade in the Vancouver Island Soccer League such as Bays United striker Patrick Nelson, who played PDL with the Highlanders in 2017, scoring three goals in nine appearances. He is another UVic Vikes assistant coach and currently leads the VISL in scoring with 13 goals. Whether these VISL players have what it take or even want to give up the security of their careers to suddenly try and make it in the unpredictable pro game is questionable, but if some kind of part time deal can worked out with a couple of them, then they would also certainly be worth a look. Late bloomers, hidden gems, could develop in a professional environment, and all that. Any island born and/or based players we missed out that you’d like to see Pacific FC take a look at? Let us know below. Also if anyone fancies putting together a similar rundown of some local players for some of the other CPL clubs then we’d love to hear from you.